Traveling across state lines today my (owning that "my" too!) beautiful First Lady Michelle Obama met my tired pupils. Of course I awoken after flipping through the PEOPLE page leafs(new today on newsstands) of how beautiful and dazzling she glistened. In all honesty, PEOPLE Magazine blew out her recent VOGUE spread. It didn't seem rehearsed the least bit. She actually seemed comfortable parading in a lace Tracy Reese frock on her office couch! 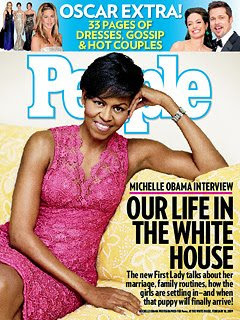 Keep the covers coming Michi O (my nickname for our First Lady). Where have you been Mr. MSR? Totally far away, yet sync to your messages regarding NYC recent Fashion Week. Thanks for your messages and inquiries. 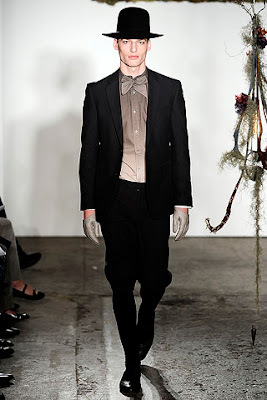 So, as promise (albeit a few days late) here’s MSR additional recap of the menswear shows that traveled NYC Fashion Week. Can I just say Mr. MSR really hearts Band Of Outsiders with every fiber on his manly physique. I hurried down to the Canal Street studio and sadly caught the last parts of the 1967's La Chinoise inspired collection. Thankfully, B.O.O. design house immediately posted the runway stills post-presentation. I would have been super-bitter if I did not preview the missed designs. 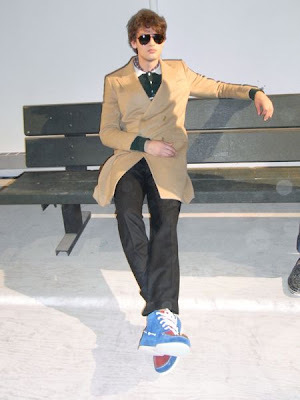 The collection offered a rich range: Cotton suiting, cropped two-toggle outerwear’s, patchwork-style windbreakers, Sperry for Band Of Outsiders suede hi-top (I will hunt until I find) and low-top dashing boat shoes. Each season, the amazing Scott Sternberg always amazes us and he rightfully did once more for Fall. 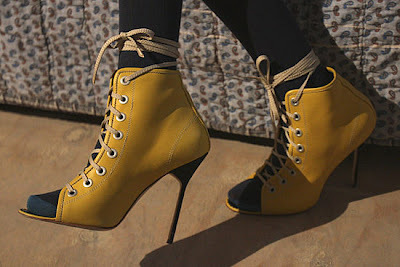 Women readers: These sporty spike heels are Manolo Blahnik for B.O.O. Start searching for them soon! From entering to exiting I extolled marvels about Buckler’s strong and concise presentation. The models definitely wore Buckler’s Fall collection—with added jazz and flash!! Take into account, block podiums took reign instead of mile long conventional runways. Before chatting up the chief designer about the genesis of the collection, I was able to get literal hands-on-approaches with garments on showcase. 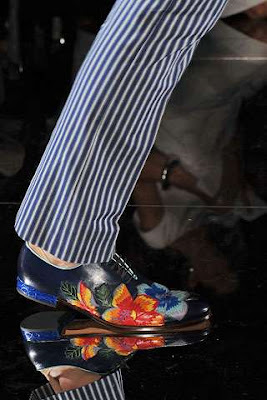 The showing collection drew inspiration from The Picture of Dorian Gray (authored by Oscar Wilde). “The nature of Oscar’s story, which encompasses the duality between substance and surface, good and evil, and human decay, presents itself where the versatile garments works well in rough or formal surroundings”, as eloquently said to Mr. MSR by Buckler chief designer. 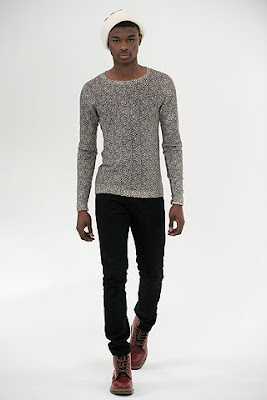 The Fall pieces included heavy ounce denims, cotton shirting, chunky knitted sweaters (I gasped several times! 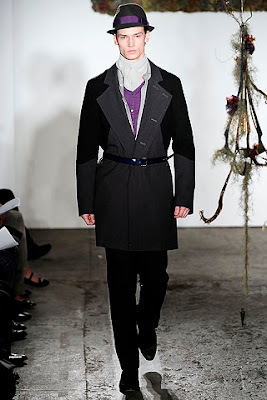 ), plaited leather on heavy garments, removable brass buttons, scarf-hats (I couldn’t stop thinking about them). And the accessories were smoking with excellence! The leather articulate wingtips, patent calf boots, sneaker/boot hybrid selections, overlapping skinny belts are all Fall sure sellers. In the brew of all the military, heavy-duty-inspired collection themes, Richard Chai followed suit with NYC menswear talents showing off Fall threads. Chai belted out a host killer crop jackets (some denim and motorcycle), and pleasing grunge plaids. And rich wool pants and thigh-reaching cardigans stole the show I feel. 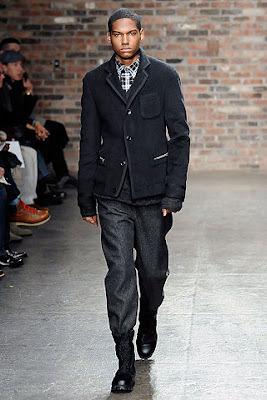 Richard Chai cemented into fruition the modern Fall man uniform and I totally concur with his execution. On Day 1 I arisen stoke to hit the NYC street pavement with my Fashion Week A-Team! With the scores of shows happening—some even in same time block—we had to top line through and mark only must-attend shows. We stormed Rag & Bone, Robert Geller, and Victor Glemaud. We arrived to Rag & Bone a little fashionably late and the hulking doorman didn’t allow us access. However, I had veteran eyes/ears taking coverage of the show second-by-second. 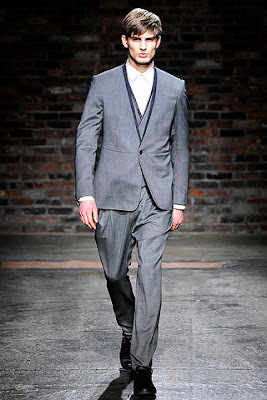 Oh and Men.Style provided the best images! 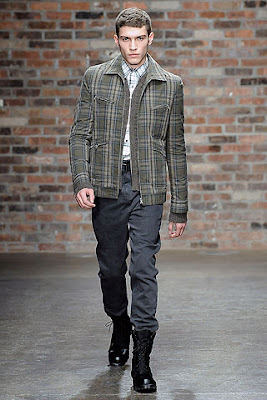 Overall, I found Rag & Bone infused the catwalk with Samurai and Japanese influences. Proper proportions and structured construction held court for the collection (even womenswear). 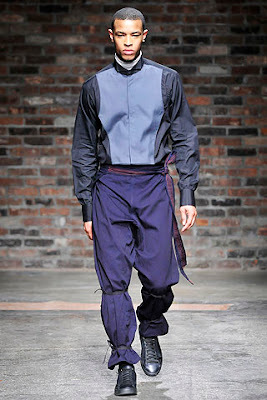 Instead of the traditional Fall palette, the designers’ collection consisted of neutrals, moody blues, and stark grays. 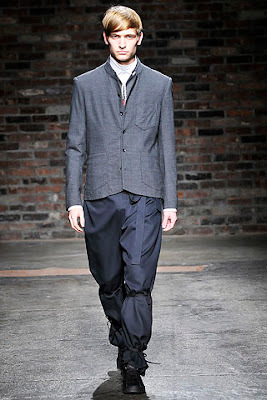 The clear takeaway from Rag &Bone was their range with pleasant structured assortments (jackets, waistcoats, pant,). Post- show, stylist Rachel Zoe and debonair Fonzworth Bentley gushed continued praises about the show. Moved. Inspired. Visionary. Creativeness. These are some of the words that pierced my spirits when I sat second row for the show. I grew a piquing interest about two weeks ago after witnessing a close pal donning a R.G. cotton-canvas (resembles leather) toggle coat. “The atmosphere of strength, elegance and constant pursuit of uniqueness” birthed Robert Geller’s collection. The color tones in the collection: Dusty rose, deep black, a rich ultramarine, plum, and traces of fuchsia. 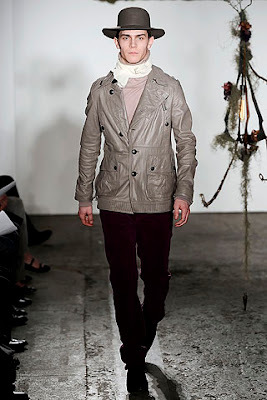 Robert played with fabrics such as mohair (lined the jacket collars); Japanese cotton jersey; alpaca (for knits), cotton canvases with polyurethane coatings, and rubberized denim. The stylist who painted the collection onto the models got my praises. 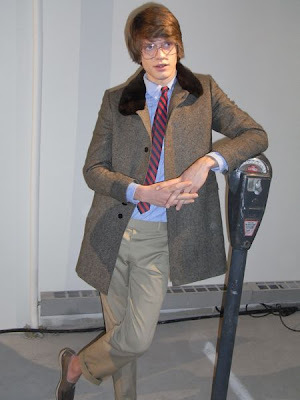 The style players and fashion darlings always flock toward Victor Glemaud. On Day 1, I along with the A-Team joined the style populous at Milk Gallery for V.G. Fall preview. 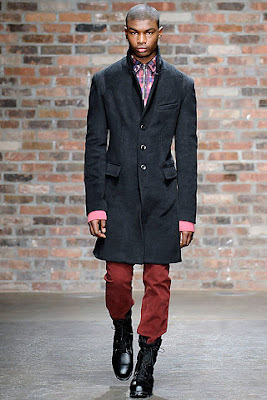 The overall takeaway I assessed, Victor presented an assertive-centric collection. 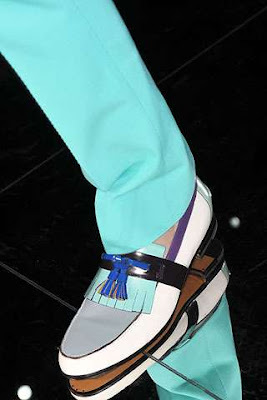 The models stomped down the bleach-white runway in fitted cuff-rolled pants and selective Dr. Marten boots. 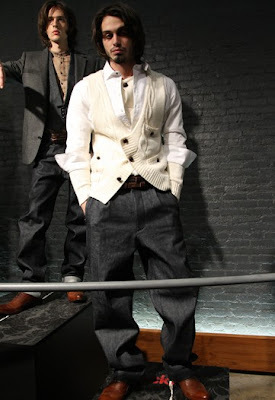 The neutral cardigans (a Glemaud signature) and ribbed comfy knits were my favorite collection pieces! 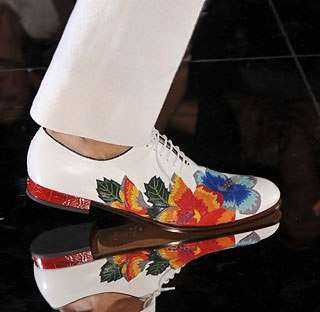 With Spring blossoming shortly, I plan on looking to GUCCI's Spring footwear collection for a brighter appearance. Feel free to do the same! FASHION WEEK [FINALLY] ARRIVES TO BIG APPLE! 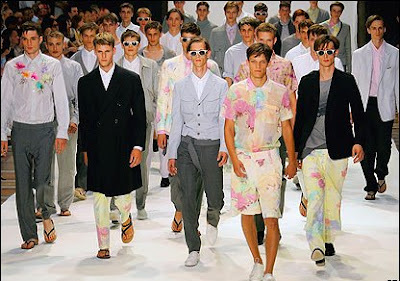 You guys might have wondered why MSR didn’t shine emphasis on the Milan menswear shows. To be candor, the big men’s label gobble up publicity reviews year-after-year. 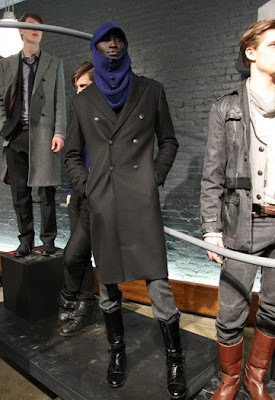 This time around, we figured it’s time for spotlighting just as stellar and chic men’s labels rooting from NYC. So, being the dawn on NYC Fashion Week today, I am taking off (leather bound pad in hand) to the tents , studios, showrooms, hotel penthouses, to capture ALL the menswear presentations. Visit back daily and receive up-to-speed coverage on our favorite designer studs. The spirited energy is strongly permeating every fiber through NYC. The style cognoscenti’s and savor-faire individuals are coming out to frolick and MaleStyle Review is right there with them. The days of purchasing pricey Kiehl’s energizing scrubs, daily washers, and facial fuel revitalizers have flutter through the double hung window. I have to THANK leading makeup expert Carmindy Bowyer for indirectly helping me discover my new grooming treatment. If you see the header it will only set you back $5 buckaroos. No gimmicks or catch. I wanted to trial the facial treatment for 1 week before sharing with the masses. Evidently, the facial cleansing was a proven hit after my doctor said “your skin looks well, were you traveling?!! I have been a “Baking Soda Facial” enthusiast since (inserting happy grin). I find you readers/viewers will experience the same star results. ¾ of lukewarm/mild-hot water in standard teacup. 2. Post-shave; apply two palm-full coats of warm water onto your face to quickly loosen the pores. 3. Dish out two (2) tablespoons of baking soda into right/left hand. Right after; pour the teacup water into the same hand. (Looking before you should be a neat pileup mixture of baking soda & water). 4. Use the opposite hand and smother both hands into a circular motion. Now a course paste should begin forming between both hands. 5. Smooth out paste onto your face—as done with your regular facial wash—in a circular motion from the forehead right down to the chin area. (recommend 15 minutes for first timers). 7. Return to the sink and thoroughly wash off the mask with mild-hot water. After washing, you will feel and notice, without touching with your hands, softness in your face. It’s absolutely normal…don’t panic. Take time to become aware of the cleaned pores, excessive oils vanished and the unwarranted exfoliation (dirt) in the sink basin. 8. Allow your face to air dry, but not completely. Apply three small droplets of olive oil into your palm. After rubbing the palms together, apply the E.V.O.O. onto your fresh face—forming the perfect and most natural skin moisturizer. For the next 2 days, to a 1 week at most, I guarantee you will begin swearing by the $5 facial and receiving storms of compliments. As I bequeathed the facial gem to you, please, continue sharing forward. UPDATE: A note placed in the post comment section made me realize I never instructed on the usage amounts. Me personally, I implement the $5 facial as a daily regimen. Depending on your facial-to-skin interaction, you then can formulate your own usage assessment. Today’s date has already entered History texts. In combination with Nelson Mandela’s release from Victor Verster prison, Michelle Obama VOGUE cover landed on newsstands everywhere! Mr. MSR knew Andre Leon Talley and Anna Wintour were staying at Hay-Adams Hotel—Barack’s temporary residence—this past January. 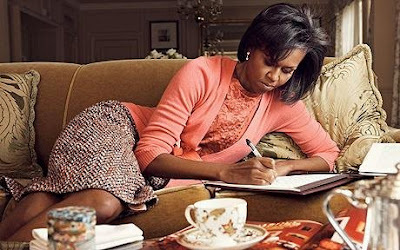 But I should have known Michelle would garner an eight page spread written by Monsieur Talley especially when master photog Annie Leibovitz entered the VOGUE mix. I nabbed the cover shot and a few inserted images. 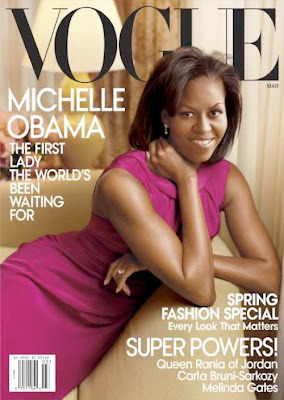 Mr. MSR must say “Michelle beams a natural and radiant beauty. 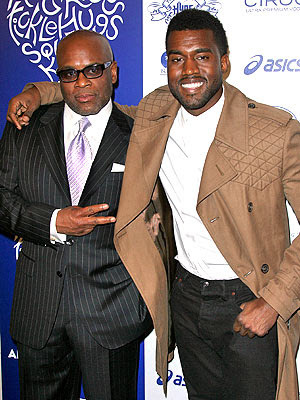 WHO MAKES KANYE WEST'S CAMEL TRENCH? If you knew Mr. MSR you would know he has a firm penchant for great jackets--better phrased, ANY smashing outerwear. I saw the video clip first, then a hi-res photo of Kanye West wearing the most smoking trench coat with quilted treatments. Aside from polarized whining antics and notice-me tantrums, Kanye draws for spicy footwear & outerwear choices every time I feature eyes on him. I need your help IMMEDIATELY! 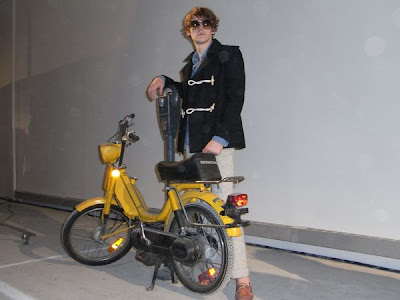 I must OWN ( between now and beginning of Spring) the pictured jacket. While I'm scouring the web, calling Burberry (it looks Burberry-ish), and delving in lookbooks I need you to chime in--via-comment section or e-mail--whose the designer responsible for this rocking coat!! A real-time view of Kanye sporting the trench. What a musical presentation last night?! I didn’t get to witness the live telecast but my DVR had I fully covered—from red carpet arrivals to award show departures. 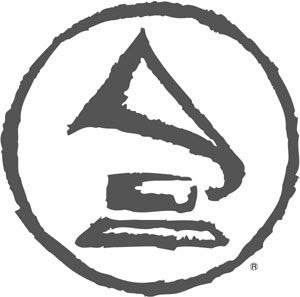 Overall, the Grammy’s was OK-cool! Not great or fantastic, but OK-cool. I wanted to be jolted over the wall but I simply remained posted on the top wall. I think Chris Brown and Rihanna ala Ike and Tina fiasco soured my Grammy hopes. I’ll give my Grammy’s review breakdown in three paragraph segments. For the most part the Grammy attendees came glowing with style togetherness. Of course you had NO-NO’s that fell short of the style mark. Some examples: Cindy Lauper, Bai-Ling, John Mayer (major FUG), and shocker Sean Combs (dressed in a spiffy light purple perforated bomber jacket, dark denims, white t-shirt, and jacket-matching NIKE trainers). Attendees kicking with attention pizzazz in my opinion were: Katy Perry (donning a bubblegum hued frock that accentuated the positives), NeYo (although decking the usual Grey, blended in sleek Black elements), Taylor Swift (in a swift knockout black jersey ensemble), Jennifer Hudson (dressed in an artsy color-block dress), Kim Kardashian (I was blown away) and the Jonas’ looking smartly fit in traditional penguin suits. 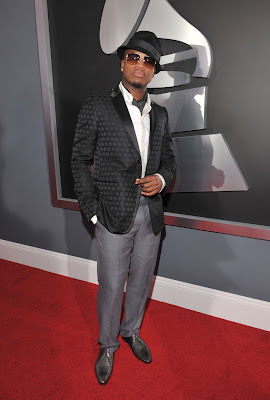 For the most part, the Grammy’s summoned a nice plethora of well-dress individuals. Congratulations to Alison Krauss and Robert Plant for cleaning up 5 golden phonographs. Also great seeing Coldplay, Jennifer Hudson, Estelle and Kanye (no winy tantrums this year), Adele (love this new songstress. I encourage getting her album), Radiohead, Al Green, Sugarland and all other winners whose music earned Grammy accolades. I was very impressed with the overall Grammy’s performance lineup. First off, Jonas Brothers and Stevie Wonder rocked out well. The Jonas’ really shocked me out—like really. As did Justin Timberlake (I coined him Soul Prince after last night) with Al Green and Boyz II Men. I won’t even charade or front, but Jennifer Hudson’s heart wrenching number jerked the tear ducts. 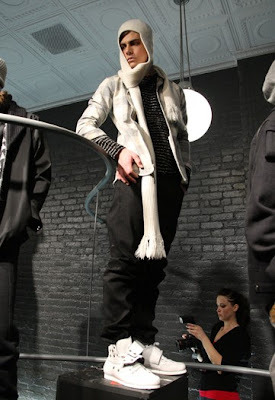 T.I.’s performance (I am still hunting down the super-killer leather piping black trench he showcased) with Soul Prince. It was refreshing to see Sir. Paul McCartney still jams out. The Four Tops tribute had me reminiscing and jamming in my apartment confines. But, you and I both know, the show stealer was “The Rap Pack” performing Swagger Like Us. Were you also bewildered by a pregnant M.I.A (who’s in labor as I write) as I was? Girl is a trooper! The performer wasn’t the bit taken back or discouraged from rocking with the men (in a Henry Holland creation) with a baby-is-due-today stomach. Side note: I think I will implement Jay-Z’s diamond encrusted brooch pin-to-lapel approach very soon. Overall, I gave the Grammy’s a resolute 8 from a 1-10 scaling. Today's I.T.P comes in the form of a lengthy but awe-inspiring list. Someone shared the list with me last week. Each time I impart reflection, it births 25 simple wisdom(s) I believe YOU can rest on. 3. When you wake up in the morning complete the following statement, 'My purpose is to__________ today. I am thankful for______________' . 8. Eat breakfast like a king or queen, lunch like a prince or princess and dinner like a college kid with a maxed out charge card. I remember in early years of Secondary school, with a buddy Jason, chatting about acquiring TechnoMarine Genéve timepieces. Of course, we only concentrated on owning diamond-encrusted bezels models. Hey, you must aspire for the best! Recently, I married a TechnoMarine Genéve mate. She’s absolutely heaven-sent. The milky Swiss timepiece turned my neck partial clockwise after passing her by. 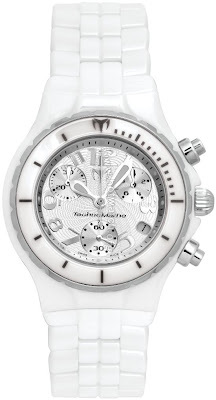 The jet-chrome bezel and three-function side pushers compliment the lilywhite elements. Overall, the glistening metallic strap and butterfly golden fastener solidifies my adulation and obsession for her. Brad Pitt and Robert Redford (Early 70's) looking like twins. Over the weekend, my movie-watching queue contained numerous excellent classics. What struck me about each film encounter, were the “timeless fashions” characters peered through; especially the leading/supporting male characters. I explored the initial thought with another ah-ha! 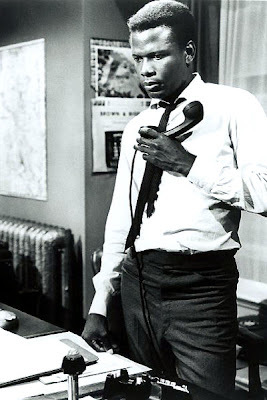 moment: Yesteryear style figures reflect present limelight figures flourishing our TV screens. Brad Pitt, Lenny Kravitz, Jamie Foxx, Will Smith, Tom Cruise, and average men all channel style influences from ‘greats’ who arrived before them. Have a look! 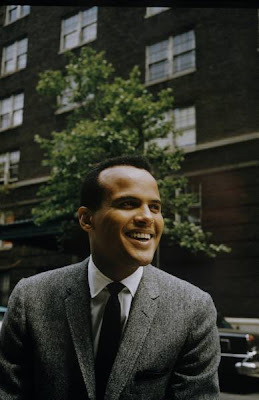 Notice the distinctive inspirations and trends these men pioneered in former times. 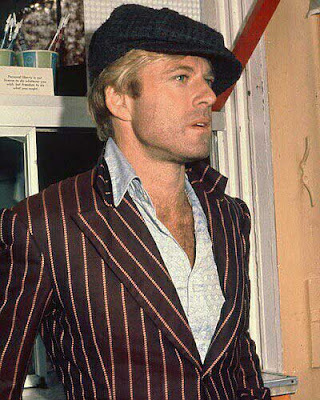 Robert Redford flaring a rather dapper look! Very reminiscent of a present Brad Pitt! 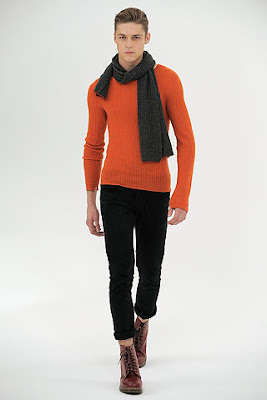 Ultra-skinny tie with loose draping at neck area mixed with "ban-roll" pants. I see scores of men--and even women--wearing this getup. 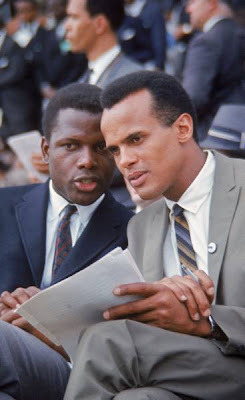 Sidney Poitier and Harry Belafonte showcasing slim printed ties paired with solid suiting! A look visibly repeated on Gentleman Quarterly (GQ) glossy leafs. Harry sports a dreamy charcoal suit while blending a spread collar shirt and black necktie; a traditional uniform for men everywhere. 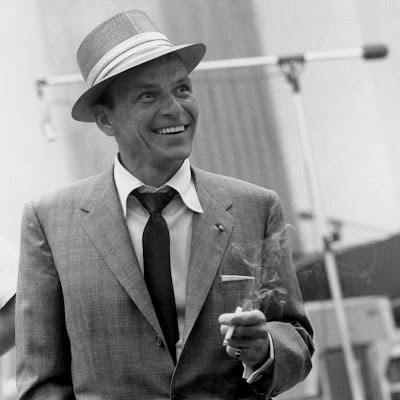 Frank Sinatra in traditional menswear attire. 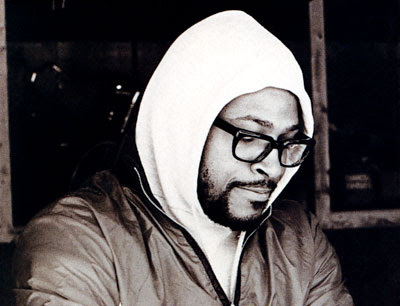 Marvin Gaye rocking a trend crowding a lot of men today: Geek-chic-street! 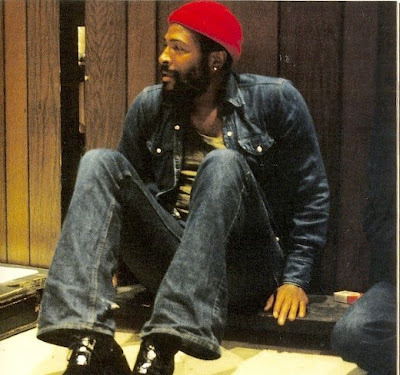 Marvin Gaye sporting the full denim suit with striping and punch of red! Side note: I absolutely LOVE this shot! I see Lenny Kravitz shining in the capture. The entire world and I are still celebrating the victorious feat executed by the unmovable "Pittsburgh Steelers" last night. What a GAME!!!! Glued to the LCD, I immersed play-by-play, not missing a beat. I will commend Mr. Fitzgerald on his speed and agileness performed to score a Cardinals touchdown. The real victors though, are Tom Couglin and the Steelers team unit!! "I've missed over 9,000 shots in my career. I've lost almost 300 games. 26 times I've been trusted to take the game winning shot...and missed. I've failed over and over again in my life. And that's why I succeed."